Bullying is a huge problem. Both boys and girls bully, but they tend to bully differently. 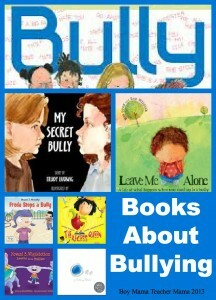 I have compiled a list of what I think are the best stories about bullying available. 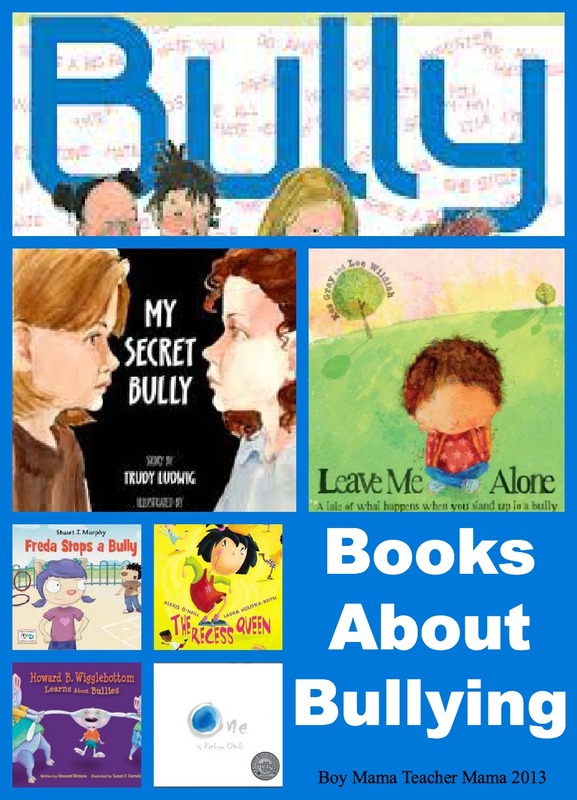 The stories deal with gender bullying and cross gender bullying and all share how we as parents and teachers, can help empower the victims and stop the bullying from continuing. This is the book that inspired this post. One of my colleagues came to my class to read this book. 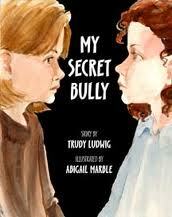 It is an incredibly powerful book about emotional bullying often seen between girls. Monica and Katie have been friends since Kindergarten. Monica loves being around Katie when she is kind, but not when she is mean. Monica doesn’t understand why Katie is nice to her one moment and then just plain mean at other times. This is the story of how Monica’s mother helps her through this tough situation and helps Monica reclaim her power from her bully. 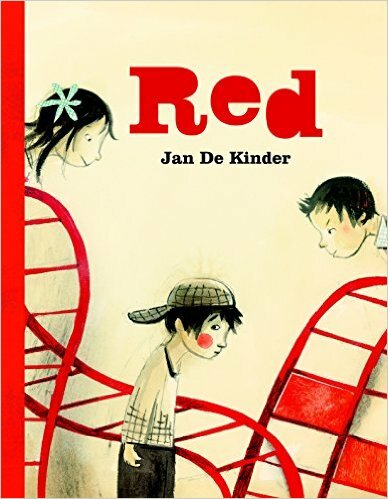 This book not only teaches young children about colors and numbers, but also about what happens who someone is bullying someone else and no one stands up for the victim. Blue is a quiet color and Red is a hothead. Red likes to pick on Blue. And while the others, Yellow, Orange, Green and Purple don’t like what they see, they do nothing about it and Red becomes even meaner and more powerful. Fortunately one day, along comes One who shows all the colors how to stand up for themselves and others and how to count (matter). One even manages to make Red count as well. One of my all time favorite books in the world. I love the story, the illustrations and the message. This is a story of how a new kid can turn things around simply by asking someone to play- even the school bully! 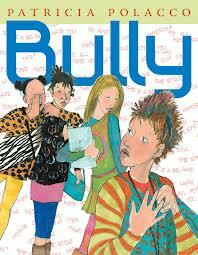 I will admit I have not even read this book, but in my opinion, anything written by Patricia Polacco is golden. She is an incredible story teller and illustrator. Lyla finds a great friend in Jamie on her first day of school, but when Lyla makes the cheerleading squad and is invited to join the popular clique, Jamie is left behind. Lyla soon disccovers that this new group of girls isn’t so great after all after witnessing their vicious teasing of classmates on Facebook (including Jamie) and is smart enough to get out. But no one dumps the popular clique and now they are out for revenge! This book is part of the I See I Learn Series by Stuart J. Murphy. For more information about this series you can see BMTM’s post, MathStart Books by Stuart J Murphy or visit the I See I Learn website. Freda loves her new shoes, but a boy at school makes fun of her every time she wears them. 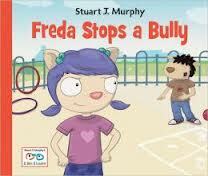 With help of her family, friends and teachers, Freda learns how to deal with the bully and to stand up for herself. A little boy feels sad because he has to face a bully everyday. But the little boy has friends including a frog, a rabbit, a cat and a cow who insist on helping him even after he tells them to leave him alone. Well, the boy’s friends don’t leave him alone and the next day when the bully approaches, they all join with him and shout, “LEAVE HIM ALONE!” and it works! 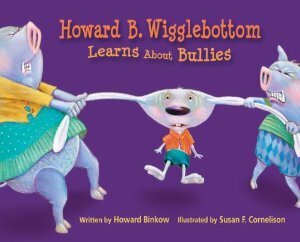 There are several Howard B. Wigglebottom books available about a variety of different issues facing young children. In this story, Howard was being bullied at schol. He knew he should tell the teacher, but instead he tried other strategies none of which worked. 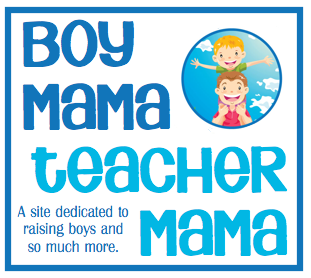 Finally, Howard told his teacher and she was able to help him and make him feel okay and safe. 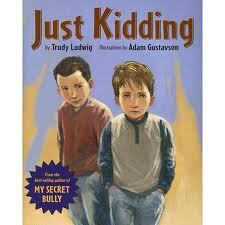 In this book, a girl finds it funny when a fellow students blushes. Her friends laugh along with her and one of them takes it too far. Another student, who is torn between feeling bad for the boy being teased and her fear of the bully, makes the difficult choice to stand up for the student being bullied. There was nothing that I didn’t LOVE about “A Bully In Monkeyville.” The story was so touching when I read it out loud it filled me with tears of joy. The writing was smooth and clever and yet so sweet. It perfectly made its point. It was like poetry for children but with a very big message. 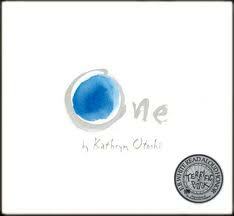 Every child should read this book and I know every parent will fall in love with this story too. 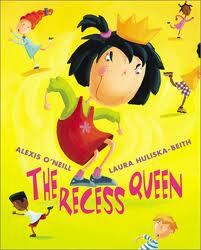 I believe children will find this book entertaining while learning a valuable message. 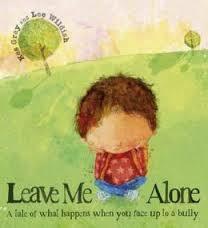 Bullying is a very relevant subject and in this book it is being shared in a beautiful way. I’m not familiar with all of these, thanks for the suggestions.